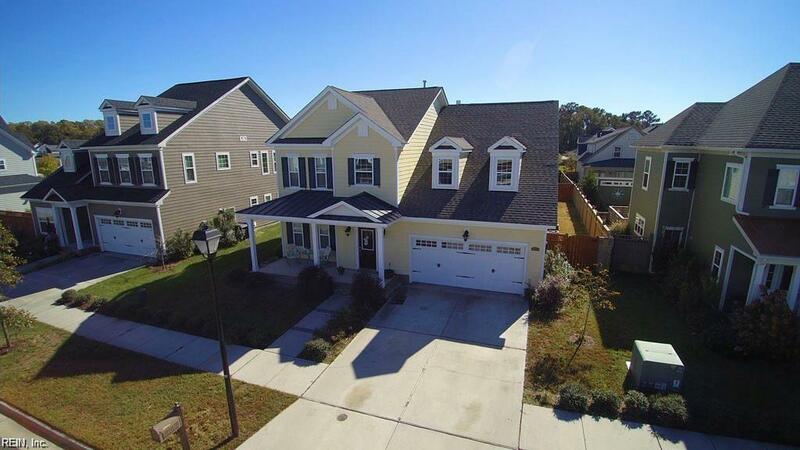 2076 Grandon Loop Rd, Virginia Beach, VA 23456 (#10242786) :: Abbitt Realty Co. WELCOME TO YOUR NEXT HOME, BETTER THAN NEW, TWO LARGE MASTER SUITES ON FIRST AND SECOND FLOOR WITH SPACIOUS BATHROOMS AND WALK IN CLOSETS! 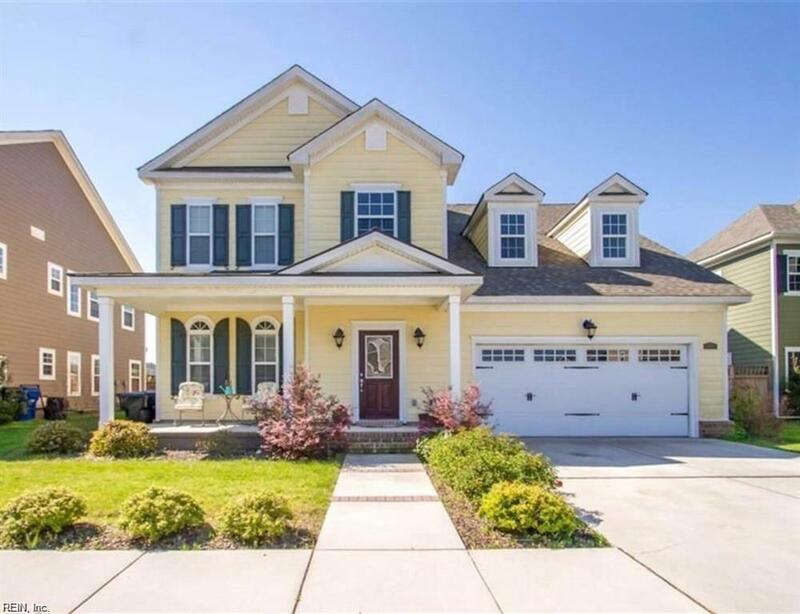 THIS INCREDIBLE 4 BEDROOM HOME WITH AN ADDITIONAL BONUS ROOM FOR A 5TH BEDROOM, DEN, HOME OFFICE OR HOME THEATER, IS SITUATED IN THE BEAUTIFUL NEIGHBORHOOD OF ASHEVILLE PARK AND CLOSE TO SANDBRIDGE BEACHES. 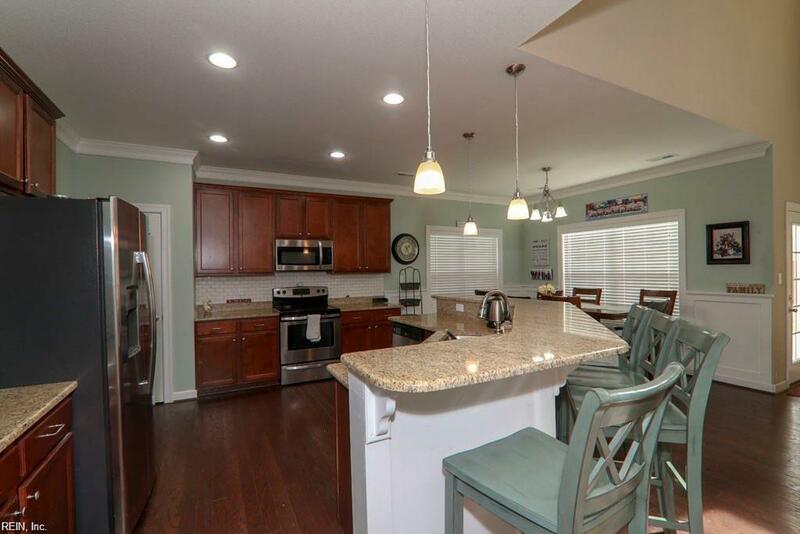 KITCHEN FEATURES A 4-6 CHAIR RAISED BREAKFAST BAR PLUS HIGH END REFRIGERATOR, 2 PANTRIES AND GRANITE COUNTERTOPS. 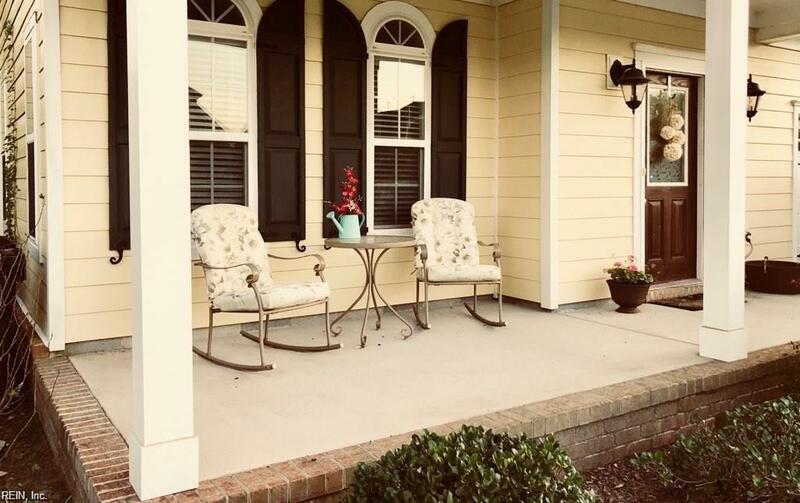 GOOD SIZE LAUNDRY ROOM, VERY NICE PRIVACY FENCE, BUILT IN BOOK SHELVES AROUND THE FIREPLACE, WOOD FLOORS, 2 PIECE CROWN MOLDING, WAINSCOTING, EXTREMELY LARGE DECK, FRONT COVERED PORCH, TWO CAR GARAGE. THIS TREE LINED NEIGHBORHOOD FEATURES MANY LAKES, WALKING TRAILS, PARKS, BEAUTIFUL CLUBHOUSE WITH POOL, AND IS LOCATED CLOSE TO SHOPPING. JUST SAY "I'M HOME.